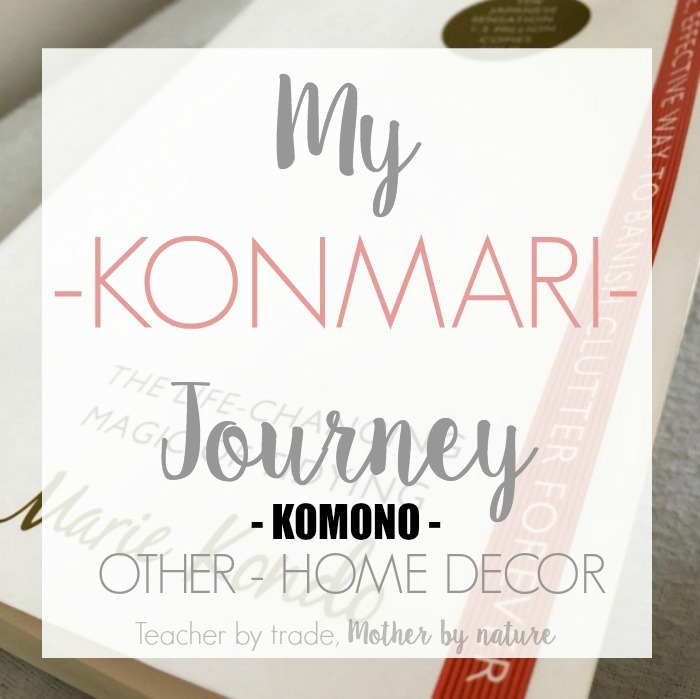 I found this category overwhelming because I didn't really know how I was going to tackle it. I have Home Decor items stored away and some on display (I am a big fan of bric and brac). However my style has changed over the years and I don't really have a lot on display. So at this moment in time, I am going to leave the home decor items I currently have on display, and hold off on the items I have stored away, because they are mostly sentimental items. 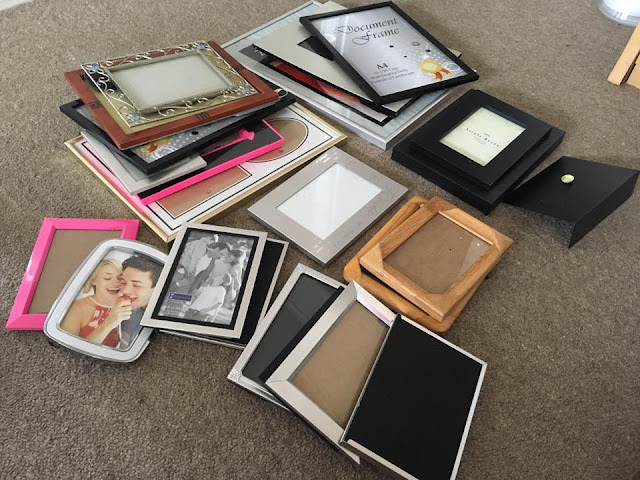 Today, I'm just going to tackle another home decor area that is pretty big (well, for me) - Photo Frames. I knew I had a lot of frames, however I did not think I would fill 2x 60L containers. 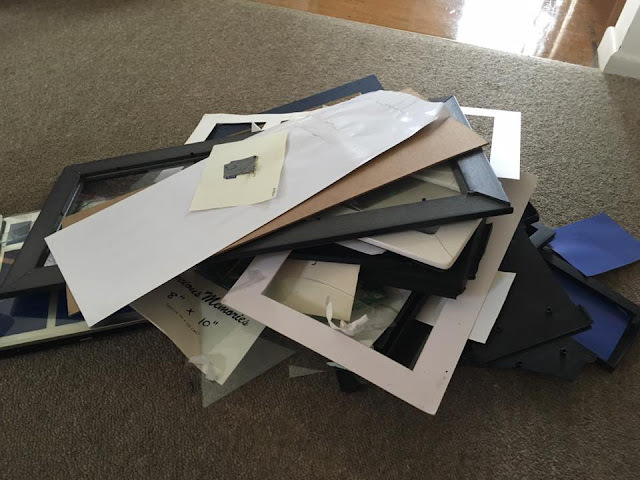 Last week, I went through my external office and home and corralled all of my photo frames to get ready for the purge, however time was not my friend and I couldn't get it done until today. I was shocked that I had so many and none of them were on display. We only have our big 20 photo collage frame above our mantel and one on a side table. So...this is what all of my frames look like in one place. I bought the three 18-20 photo collage frames ages ago for only $5 each (down from $20)...and have big plans to fill them up once I go through my photos and get prints etc. 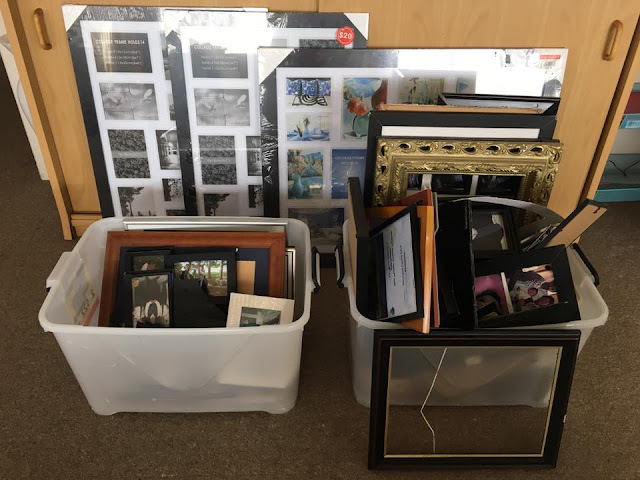 In the two containers, there is a mixture of frames - frames I have held on to for over a decade - different sizes, colours, designs etc...sadly, some of them are broken (sad face). In total, I had almost 80 photo frames! 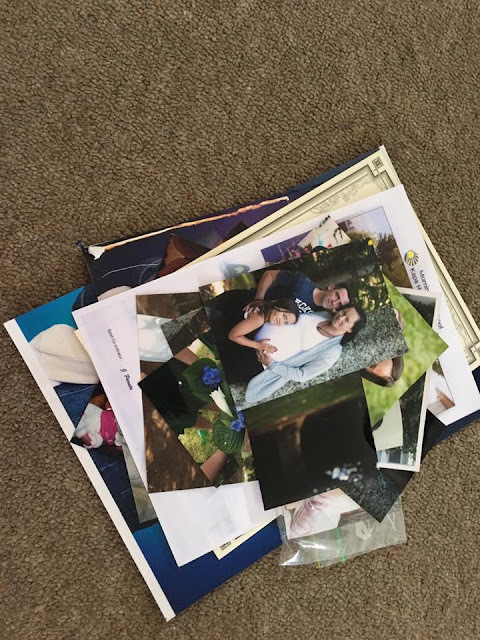 The first thing I did was pulled all of the frames out of the containers and took out the photos (that was an emotional moment), and then I held each frame and asked the question 'Does it Spark Joy?' Will I happily display this frame in my home. I grouped them into three piles - KEEP, DONATE and RUBBISH. You can see in this photo there are some home decor items - I have decided to move these to the Sentimental category. I am not ready to deal with these items just yet because I have had them for way to long. These have also been added to my Sentimental category. I did take a minute or two reminiscing the moments and messaged a couple to friends. (but quickly returned to the job at hand). 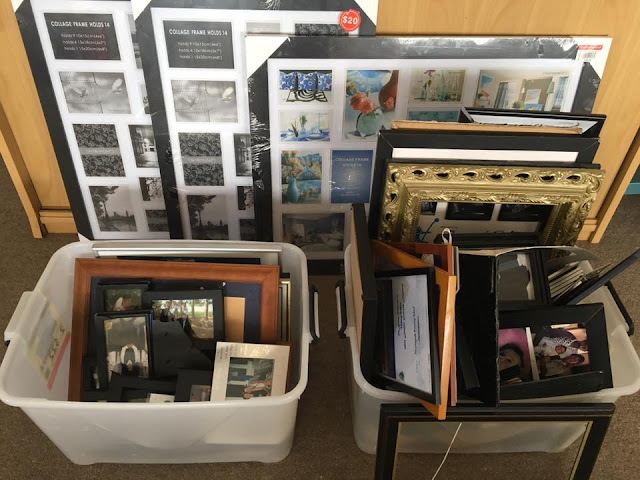 Before I began this category, I was overwhelmed, however once I had all the frames out and looked at each one, the decision whether to keep them or not came pretty quickly. These are the photo frames I am keeping (plus the three big collage frames). The two big frames at the top belonged to my late GrandDad, so I am definitely keeping them. 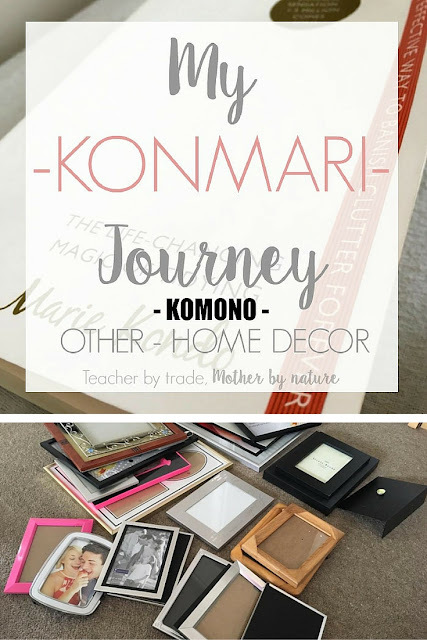 I have also kept several wooden frames for a project I am going to be starting, once I have finished this KonMari method. (if I ever finish - Watch this space. 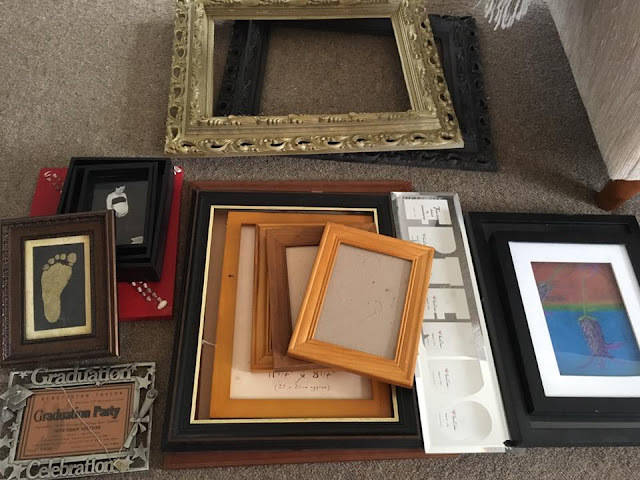 The other frames I have kept for more sentimental reasons, and will re-home. As you can see, I went through a Silver and Black frame phase, with a splash of wood and pink. All of these frames are in good condition, so they will be donated to charity (or my Mum - especially if she sees this photo). The pile of rubble. Sadly, there were several photo frames that were broken (including broken glass), so they will be discarded safely. When I started the 'Home Decor' category, I took an inventory of the items listed below from around my home. I don't own many of each, however the items I do have, do spark joy - so they are here to stay. I am really happy that task is over! Phew! I feel so much lighter now after purging all of those frames. I think I purged 3/4s of what I had at the beginning. That's pretty good, considering I am a photo frame hoarder. Ideally, I want to display my photos in the big frames, or have smaller frames that are all the same colour (I'm a little OCD). I am really looking forward to up-cycling the wooden frames for a couple of projects I have planned and eventually getting more photos displayed in our home. I will definitely share photos once it's all done...fingers crossed it's before Christmas. What about you! 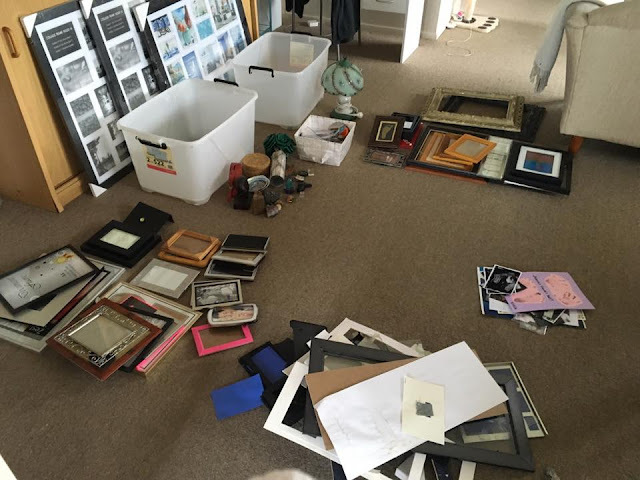 - Are you a photo frame hoarder? 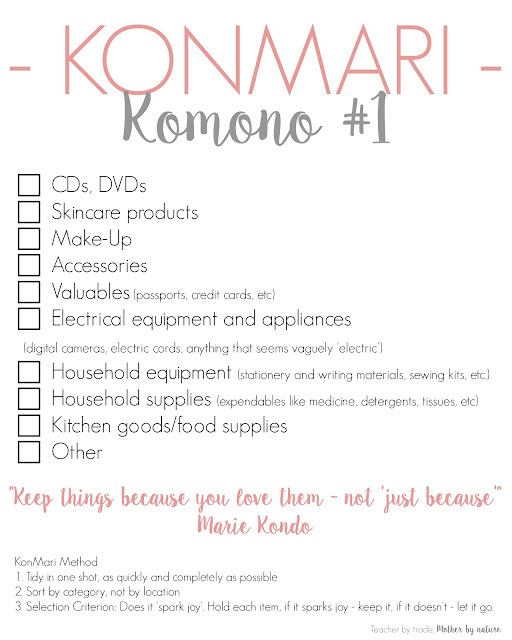 I will share some more Komono tasks/categories that Marie Kondo has mentioned in her books - plus new KonMari printable. I wish I could say I am done! But I'm not! I've still got Teacher Resources and Sentimental items to do...and they are the two biggest! Plus I will be doing all things Kid related once I've finished! Wish me luck! I am so interested in this method. My family and I move a lot (sometimes internationally) and I feel like I should DEFINITELY use this method as it would save (mostly me) so much time packing/unpacking and money from freight/removalists. Love the post, thank you. Thank you so much! Yes, KonMari is definitely a great method if you are moving! No one wants to take excess stuff to a new place, however we always seem to do it. Oh how good it must be going through your house like this!! I have been doing similar here too. This wet weather gets me cleaning out and rearranging. It's very therapeutic Karin! Yes, no excuses if it's wet outside - great time to go through a box or cupboard (or three). If you do, let me know how you get on. It's over 10 years worth! Crazy aye! I will eventually (once I am finished with KonMari) get photos printed and have them displayed on the walls too. I was shocked when I saw all of my frames together! It's crazy!